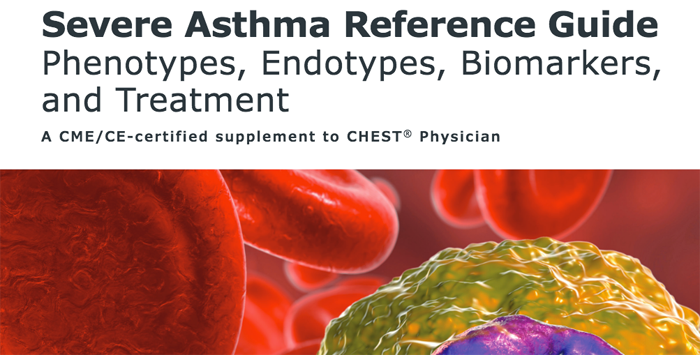 This activity is intended for pulmonologists, family practitioners, internists, physician assistants, nurse practitioners, and other clinicians who treat patients with asthma. Participants should read the activity information, review the activity in its entirety, and complete the online post-test and evaluation. Upon completing this activity as designed and achieving a passing score on the post-test, you will be directed to a Web page that will allow you to receive your certificate of credit via e-mail or you may print it out at that time. The online post-test and evaluation can be accessed at: https://tinyurl.com/AsthmaGuide18. Inquiries may be directed to Global Academy for Medical Education at info@globalacademycme.com or (973) 290-8225 or Postgraduate Institute for Medicine at (720) 895-5357. This activity has been planned and implemented in accordance with the accreditation requirements and policies of the Accreditation Council for Continuing Medical Education (ACCME) through the joint providership of the American College of Chest Physicians (CHEST) and Global Academy for Medical Education. The American College of Chest Physicians is accredited by The ACCME to provide continuing education for physicians. The American College of Chest Physicians designates this enduring activity for a maximum of 2.0 AMA PRA Category 1 CreditsTM. Physicians should only claim credit commensurate with the extent of their participation in the activity. In support of improving patient care, this activity has been planned and implemented by Postgraduate Institute for Medicine and Global Academy for Medical Education. Postgraduate Institute for Medicine is jointly accredited by the Accreditation Council for Continuing Medical Education (ACCME), the Accreditation Council for Pharmacy Education (ACPE), and the American Nurses Credentialing Center (ANCC) to provide continuing education for the health care team. The maximum number of hours awarded for this Continuing Nursing Education activity is 2.0 contact hours. Designated for 1.0 of pharmacotherapy credit for Advanced Practice Nurses. Successful completion of this CME activity enables the participant to earn up to 2 MOC points in The American Board of Internal Medicine’s (ABIM) Maintenance of Certification (MOC) program. Participants will earn MOC points equivalent to the amount of CME credits claimed for the activity. It is the CME activity provider’s responsibility to submit participant completion Information to ACCME for the purpose of granting ABIM MOC points. Upon successful completion of this course, CHEST will submit your completion data to ABIM via ACCME's Program and Activity Reporting System (PARS) for MOC points. About 5% to 15% of patients with asthma have severe or uncontrolled asthma and experience ongoing symptoms despite daily treatment with inhaled or systemic corticosteroids and supplemental medications such as long-acting β agonists. Patients with severe asthma account for much of the morbidity and mortality associated with asthma. Severe asthma is a heterogeneous disease. In the last decade, researchers have defined many of the biological mechanisms underlying severe asthma. More recently, new treatments, as well as biomarkers that can predict response to the new treatments, are contributing to the development of personalized therapy for patients with severe asthma. Individuals in a position to control the content of this educational activity are required to disclose: 1) the existence of any relevant financial relationship with any entity producing, marketing, re-selling, or distributing health care goods or services consumed by, or used on, patients with the exemption of non-profit or government organizations and non-health care related companies, within the past 12 months; and 2) the identification of a commercial product/device that is unlabeled for use or an investigational use of a product/device not yet approved. Amit D. Parulekar, MD, MS, FCCP, has nothing to disclose. Michael E. Wechsler, MD, MMSc, Consultant: AstraZeneca, Boehringer Ingelheim, GlaxoSmithKline, Novartis, Sanofi Regeneron, Teva. Grant/Research Support: AstraZeneca and Teva. American College of Chest Physicians (CHEST) Staff has nothing to disclose. CME/CE Reviewer: Courtney R. Schadt, MD, has nothing to disclose. Global Academy for Medical Education planners and managers have nothing to disclose.